Camilla Nylund was born in Vaasa, Finland. She began her training with Eva Illes and completed her vocal studies at the Salzburg Mozarteum. 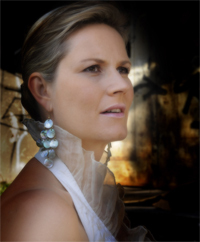 A multipleprize winner, she was from 1995 to 1999 an ensemble member of the Hannover State Opera. From 1999 to 2001 she joined the Saxon State Opera in Dresden, where she received the Christel Goltz-Preis in 2000. Since 2001 she has been an artist-in-residence in Dresden, and in 2008 she was awarded the title of 'Kammersängerin' by the State of Saxony. Camilla Nylund has performed at the Vienna State Opera, La Scala di Milano, Bavarian State Opera, Finnish National Opera, La Fenice in Venice, Carlo Fenice in Genova, Vlaamse Opera, Deutsche Oper Berlin, Cologne State Opera, Hamburg State Opera, Copenhagen Royal Opera, Deutsche Oper am Rhein, and De Nederlandse Opera. Camilla Nylund works regularly with various international orchestras and has performed all of the concert repertoire for soprano in many important concert halls all over the world. She has worked with conductors such as Sir Simon Rattle, Nikolaus Harnoncourt, Adam Fischer, Gary Bertini, Leif Segerstam, Esa-Pekka Salonen, Helmuth Rilling, Nicholas McGegan, Roger Norrington, Osmo Vänskä, Philippe Herreweghe, and Jukka-Pekka Saraste. In the summer of 2008, Camilla Nylund received much acclaim for her debut at the Salzburger Festspiele in the title role of Rusalka with the Cleveland Symphony Orchestra under the direction of Franz Welser-Möst. In 2011, she will make her debut at the Bayreuther Festspiele in the role of Elisabeth in Tannhäuser.